Rochester, New York's Circle Street let you get up close and personal with the former New York Central's main line without trespassing on railroad property (although safety was probably another matter). 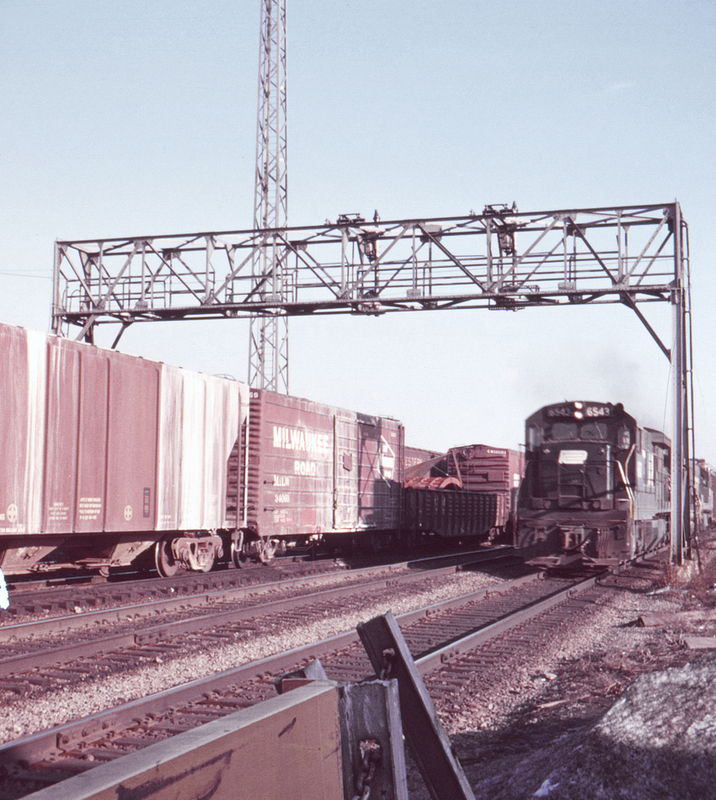 Here a westbound freight led by Penn Central U-boat no. 6541 roars by at speed; trains on the outer two tracks (furthest from the yard) were able to completely bypass the Goodman Street Yard and were often moving quite briskly.